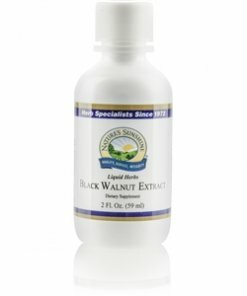 Used in ancient Greece for intestinal and skin support, black walnut extract contains astringent properties due to its richness in tannins. The hulls, which contain vitamin C, chromium, and iodine, also encourage the body to cleanse itself. 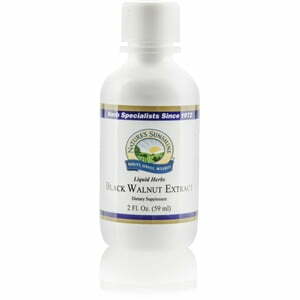 Nature’s Sunshine Black Walnut Extract comes in either 500 mg capsules or in liquid form. Instructions: Take approximately 20-25 drops (1 ml) twice daily with water. One ml is equal to two capsules of black walnut. A natural and pure extract of the finest black walnut hulls (Juglans nigra) in water and alcohol.